Sachin Tendulkar has said goodbye to all forms of cricket with the end of India's second test match with West Indies which was his 200th test match. In his 24 years of cricket his name became synonymous with the game,he broke most of the records set by earlier generations and made so many new records which might remain intact with his name always. 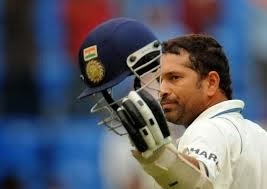 Sachin's cricketing carrier was like a roller coaster ride with many ups and downs in it. At the one end he was making and breaking records and on the other hand he was criticized for playing for himself. India lost most of the matches in which he has scored centuries. We have also witnessed his jinx with nervous nineties. He avoided captain-ship of the team because of the pressure involved in it and when he got captain's cap he leaved it within a year. His interest in brand endorsements was questioned when he didn't performed well. I will not remember him for his records because someone may break them someday but I will never forget him for the man he is. He never misbehaved with any senior or junior player,encouraged younger generation,supported his captain and coach, remain spotless at a time when match fixing hold every cricketer's collar, remain a true champion of the game even off the field,his mere presence in the game was enough to generate a hope among cricket fans,never ever indulged in fights on or off the field, always spoke with the bat when criticized. There was a time when he was above the game but he never took appreciations to his head and always remained humble to everyone.Cricket will never forget its true son who is an example of how a cricketer should be. After his retirement cricket fields will miss a small man who brings energy to the game. Some are crying ,some are shattered and some don't think he should retire now but I am satisfied that he retired when we still think that there is something left in him. He is also a parliamentarian now I hope he will set an example there also. Ta-ta Tendulkar!